Anybody working in the health and adult care setting. There are no specific entry requirements however learners should have a minimum of level one in literacy or equivalent. The qualification is suitable for learners of 16 years of age and above. The TQUK Level 2 Certificate in the Principles of Dementia Care (RQF) develops learners’ knowledge and understanding of what dementia is and how to support individuals with dementia, including understanding a range of theoretical models of dementia and types of dementia. Learners will look at the role of carers in the care and support of individuals with dementia. In particular, the administration of medication to individuals with dementia using a person-centred approach, how to communicate with individuals who have dementia and understand behaviour in the context of dementia. The benefits of engaging in activities are also explored. This qualification is intended to update and continue the professional development of learners and to develop knowledge/skills relevant to occupational specialisation. Funding opportunities may be available. 123 Guided Learning Hours (GLH) over 6-9 months. The assessment for the course will be undertaken through a range of workbooks. 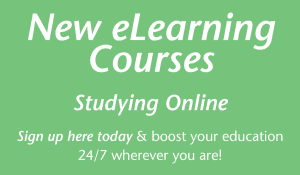 Delivery methods for the course may vary but will involve either taught sessions or distance learning. Learners must complete all 7 mandatory units.